8 week class for women who want to rebuild their life after a divorce. 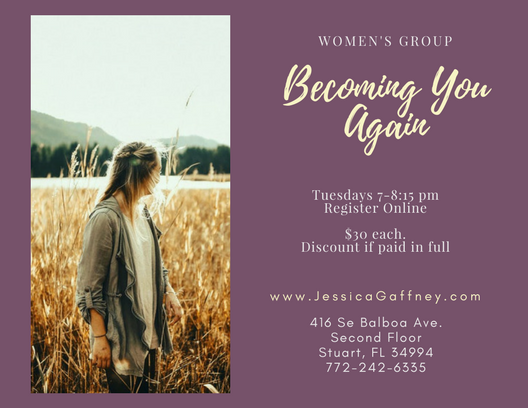 Taught by Jessica Gaffney, MSW life coach and clinical social worker. Group offers laughs, activities, homework and room for growth, friendships and accountability. Domestic Violence survivors are welcome. Tuesday Evenings, 7pm. Meets Bi-Weekly.